Dr. Kathryn Cramer Brownell is an author and associate professor of history at Purdue University in West Lafayette, IN where she teaches courses in 20th century American history. She received her B.A. from University of Michigan and her Ph.D. from Boston University. Her research and teaching focus on American political history, the American presidency, and intersections of media, politics and popular culture in modern America. Listen to recent interviews and podcasts recorded with Dr. Kathryn Cramer Brownell, in addition to op-eds and other media. View recent books, book chapters and articles written or contributed to by Dr. Kathryn Cramer Brownell. Read newly published writing by historians exploring the history behind the headlines, bringing an important new perspective to the news of the day. Conventional wisdom holds that John F. Kennedy was the first celebrity president, in no small part because of his innate television savvy. 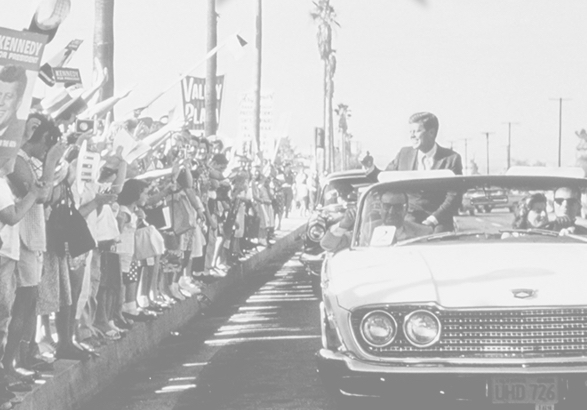 But, as Kathryn Brownell shows, Kennedy capitalized on a tradition and style rooted in California politics and the Hollywood studio system. Since the 1920s, politicians and professional showmen have developed relationships and built organizations, institutionalizing Hollywood styles, structures, and personalities in the American political process. In a superb book that will command immediate attention, Brownell takes familiar material and mixes it with new findings in such a way as to make the seemingly familiar new. 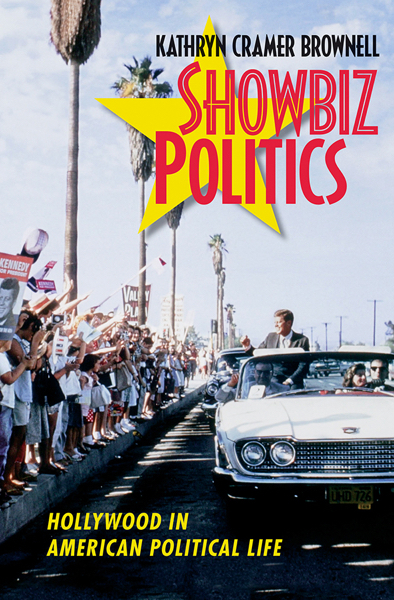 One of the most sweeping studies of Hollywood and politics, Showbiz Politics places the evolving relationship between show business and those seeking the White House at the center of modern American politics.